Tasha Baldassarre writes on the lasting impact and continuing relevance of the Coen Brothers’ varied and unique filmography. 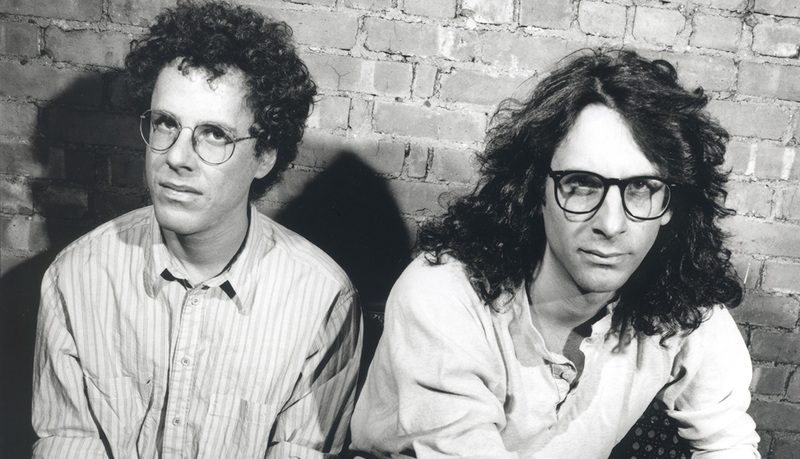 The Coen brothers have been around almost twice as long as most of us have been alive. Nominated for 13 Academy Awards and winning four (even gaining a nomination for editing under the pseudonym Roderick Jaynes), over a three-and-a-half decade career, Joel and Ethan Coen have meshed their trademark neo-noir methodology with almost every genre you can name. Yet while the duo has had more than their fair share of misses too, leaving behind a trail of botched comedies, they have nonetheless crafted a continuing legacy of critical acclaim and a devoted following. Anyone vaguely familiar with their work will have noticed that the Coens are a bit obsessed with both John Goodman and sepia, and have an aesthetic approach so distinctive that it has garnered its own term: ‘Coenesque’, which the Collins dictionary spells out as “reminiscent of the work of US filmmakers Joel and Ethan Coen featuring bizarre and involved plots, use of irony and black humor, and allusions to film classics.” Though frequent Coen collaborator George Clooney phrases it more charmingly as “violence and absurdity and dingbats”. Empire magazine also petitioned other celebrated associates of the Coens to make sense of the term; Josh Brolin settled on “unconscious originality”, calling them “the last of the great absurdists”. Michael Badalucco, meanwhile, insisted on “idiosyncratic specificity”; Jeff Bridges called it “seeing the unusual in the usual”; while for Jon Polito it was ‘the familiar seen through new eyes” – you get the picture. This season, the Glasgow Film Theatre is hosting CineMasters: The Coen Brothers, a billet-doux to the revered filmography that the brothers Coen have amassed in the thirty-odd years since their filmmaking debut with indie thriller Blood Simple in 1984. The event’s lineup features a screening of tragic western No Country For Old Men on 35mm; a digital restoration of the Director’s Cut of Blood Simple, as well as other flagship genre-defining films such as Raising Arizona, O Brother, Where Art Thou? and Fargo (an aside: how many TV show remakes have people arguing whether it’s actually better than the film?). For the 20th anniversary of The Big Lebowski, the Glasgow Film Theatre will be hosting ‘GFF Presents: The Big Lebowski – A Night of Bowling’ on Tuesday 27 February of 2018, where they’ll screen The Dude’s shenanigans while you battle it out on the lanes at the Hollywood Bowl Springfield Quay. The plot and concept of Lebowski isn’t the easiest to explain to the uninitiated, but it’s basically a “stoner detective bowling phantasmagoria” that has achieved a bizarre cult film status since it first hit screens in 1998. (A factoid: film journalist Devin Gordon once asked Ethan Coen about what a phenomenon Lebowski’s become – so much so that there’s even a festival dedicated to it – and thus what his take on all this was. The filmmaker reportedly gave Gordon a weird look and said, simply, “honestly, I think it’s really weird”). Missing from this programme are some other fan and critic’s favourites, including Miller’s Crossing, Barton Fink, Inside Llewyn Davis, True Grit, (and I’m going to personally plug Hail, Caesar!, a visually breathtaking satirical screwball comedy that makes little sense but makes for a real Good Time™ nonetheless if you’re not pedantic about it); this is a small but by no means definitive watchlist for those wanting to check out more outside the ‘classic’ scope of the Coen’s filmography that the GFT will be screening. Satisfyingly bizarre humour counted, the Coens’ trademarks – as GQ puts it “silly accents, botched capers, diamond-precise set design”, alongside a vague but palpable quirkiness – have produced films that have always been aptly allegorical, and hardly ever apolitical. The New Republic published an article titled ‘We Are Living in the Coen Brothers’ Darkest Comedy’ shortly after the Trump-Russia scandal this summer, referring to the 2008 farce/drama Burn After Reading, a film about post-Cold War treason dynamics that paradoxically stars Brad Pitt, George Clooney, John Malkovich, Frances McDormand, Tilda Swinton, Richard Jenkins and JK Simmons, yet is still somehow, unbiasedly, a pretty terrible movie – but a film that tackles some interesting political realities. Ethan Coen has explained that “[they] grew up in America, and [they] tell American stories in American settings within American frames of reference”, and in their lifetime tensions with Russia did (and does) in some ways frame the American experience, and therefore plays a prominent part their films. This is clear in how Soviet Communism is often pitted as a polar opposite, shallowly portrayed antagonistically but more complexly, as New Republic argues, as the “anti-self by which the U.S. defines itself”. With an impressive filmography that advertises the Coens’ brand of darkly offbeat comedy and tragedy, it’ll be interesting to witness what new directions the twosome take with their modern output, and how the state of the union today will mutate the hallmark quirky, nihilistically humourous and memorable characters they’re exalted for. As part of their ongoing Cinemasters season surrounding the works of the Coen Brothers the GFT will be screening No Country for Old Men from the 2nd to the 4th of December. Tickets are available here.